Former classmates showed support for the University of Virginia student here in Chicago as they call for justice after he's injured during an arrest. 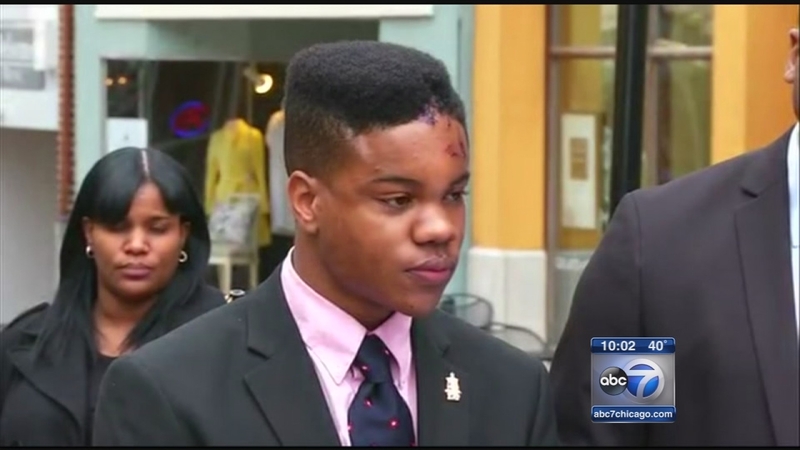 CHICAGO (WLS) -- University of Virginia students are calling for justice after Martese Johnson, who graduated from Kenwood Academy in 2012, was injured during an arrest. After a violent arrest left a University of Virginia college student from Chicago with a bloody face, there are now two investigations underway in Virginia.